Ignoring current stock market regulations - and continuous urging from the community of investors - the two largest brewers in Việt Nam still found reasons not to list on the local exchanges, after 8 years of equitisation. Saigon Beer-Alcohol-Beverage JSC (Sabeco) in the south and Hanoi Beer-Alcohol-Beverage JSC (Habeco) in the north provide about two thirds of the beer for the local market, which ranks No.1 beer drinker in ASEAN and in the top five of Asia, with more than 4.5 billion litres consumed every year. Lê HồngXanh, the Sabeco deputy general director, told local media that Sabeco was not eligible for listing. Under the current regulations, a joint stock firm, which was shifted from the State-owned enterprise, must have at least 20 per cent of stakes owned by other investors, could be able to be listed on the exchanges. Meanwhile, after equitisation the Ministry of Industry and Trade (MoIT) still manages about a 90 per cent stake in both firms, on behalf of the State. Phan Đăng Tuất, Head of the Committee for Business Innovation and Development at MoIT and former chairman of Sabeco, said both firms are not eligible for listing yet. He said final divestment from the two firms depends on Government fiscal and financial policies. Xanh, the Sabeco deputy director, told local media that the company submitted a plan to reduce state control from 90 per cent to 36 per cent. He is still waiting for the Government’s response. But according to many securities experts, the failure to list the two firms also violates current regulations which require joint stock firms to be listed on the market after a maximum of one year of equitisation. Experts said the Government wants to turn the stock market into a channel that mobilised capital for the new development of the economy. However, the unlisted two brewers, among the largest capital firms in Việt Nam, would not contribute to that target. Their absense on the local exchanges would instead make the local stock market less attractive for investors. In 2009, one year after equitisation, the two brewers were fined by the State Securities Commission for not registering for their listing under the regulations. Now they are still among more than 700 public companies not yet listed on any market. In other news, giant milk producer Vinamilk (VNM), which used to earn half the profit of Sabeco, has now grown threefold after 10 years on the stock market. Currently, VNM was one of the largest caps, one of the attractions on the southern exchange. 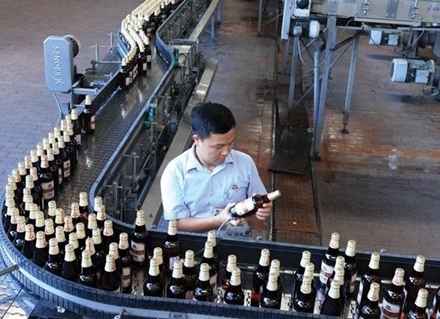 After completing their equitisation two years later, both brewers reported modest results despite great potential with increasing demand for beer in Việt Nam. The local brewery industry achieved an average of seven per cent annual growth between 2011 and 2015. 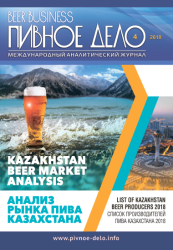 Beer production reached 3.4 billion liters last year, a 4.7 per cent year on year increase, according to a report released by the Vietnam Beer Alcohol Beverage Association in 2015. 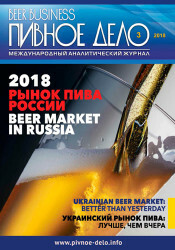 In 2015, Sabeco was the country’s largest brewer. It reported production of 1.38 billion liters last year, to keep its leading position. But the No. 2 position in the market was taken from Habeco by Heineken. The Việt Nam Association of Financial Investors (Vafi) sent a proposal for the divestment of State holdings and the listing of Sabeco and Habeco. Vafi asked the Government to sell all State capital in the two firms, where MoIT still holds 90 per cent and 82 per cent stake in Sabeco and Habeco’s charter capital, respectively. The divestment would help the State raise $3 billion, which should be used for developing public transportation projects, Vafi said. The association said the divestment process should be conducted through auctions to ensure transparency. 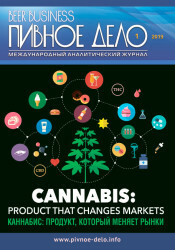 Vafi also urged that the listing of Sabeco and Habeco on the exchanges be hastened to improve transparency and efficiency. Vafi has already asked this many times before.